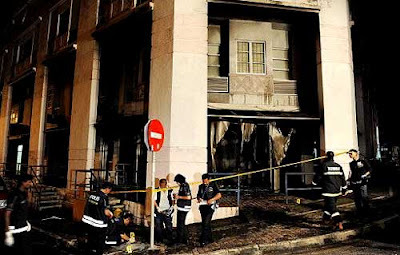 Recent attacks on churches are not a sign of an impending religious war in Malaysia. There is no doubting that in a plural society like ours those incendiary incidents could easily explode out of control. That notwithstanding, these recent ugly acts are merely sub-plots of a much larger and more dangerous drama that is now unfolding, one that is far more consequential and destructive. These are the early skirmishes of an explosive, protracted and very ugly civil war among Malays. 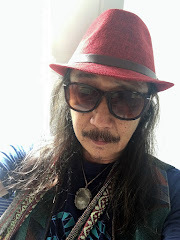 There is a definite pattern between these recent events and earlier ones involving only Malays, specifically the whipping of a young mother for consuming beer and the call for apostasy to be a capital offence. Connect the dots and you have a Malay community in deep conflict. What struck me most with the recent spate of church arsons were the relatively muted responses from the victims. This reflected not merely a charitable “turning the other cheek” reaction, rather an intuitive realization by non-Muslims that they were not the target but merely innocent victims of a much larger conflict raging under the surface: a vicious Malay civil war. Those poor Christians were caught in a cross-fire in a conflict they did not realize was going on around them. Contrast the reactions of non-Muslims to those of Malays. 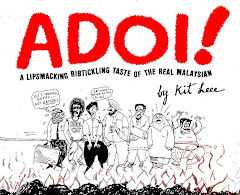 No, the Malay vitriol was not directed at non-Muslims rather to fellow Malays. On one side were those who view those attacks as debasing our great faith, and the other, those who consider them as the purest jihad. When commentators use epithets like “idiots,” “racists” and “pengkhianat” (traitors), we know this is a serious matter, beyond the reach of sensible dialogues. The issue of the use of the word “Allah” is merely a symptom. Today it is over that, yesterday over Ketuanan Melayu versus Ketuanan Rakyat, while much earlier it was the use of English to teach science and mathematics. Tomorrow, God (or Allah) knows what else. Already some of the sultans are weighing in on this Allah issue. Expect another battle soon over the sanctity of the sultan’s titah (command) versus a court decision. I do not mean to belittle the seriousness of those arson attacks on churches. Indeed it was hard to describe the sinking feeling in the pit of the my stomach as I watched CNN News, and the ticker tape kept blipping the latest newsbreak, “Fourth Church Attacked!” and then, “Fifth Church Arson Attack,” and now the eleventh, and realizing that those were happening not in war-torn Lebanon or strife-ridden Sudan but in our own “Truly Asia” Malaysia. 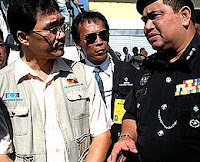 A more sickening feeling was seeing Home Minister Hishammuddin (left) smugly ‘reassuring’ us that everything was ‘under control.’ That was after the third or fourth arson attack. He could hardly refrain from patting himself on the back for (presumably) a job well done. His “government’s commitment to maintain peace” had averted a major religious catastrophe, he asserted. Obviously to him, the damage wrecked was only the burnt buildings and scorched church doors. 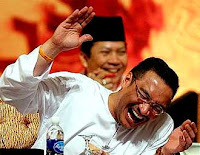 Somebody ought to tell Hishammuddin to wipe the grin off his face, and make him realize that the enormous damage wrecked upon the nation went well beyond the physical defacements of those churches. Those can be readily fixed, with or without government grants. With simple technologies like surveillance cameras, those attacks could also be prevented. Bluntly put, what we are witnessing today are the external manifestations of a deeply divided and conflicted Malay society. This divide is already irreversible and unbridgeable; meaning, expect continuing turmoil with increasingly ugly and brutal skirmishes. Civil wars are always much more brutal and difficult to resolve. Look at Indonesia. 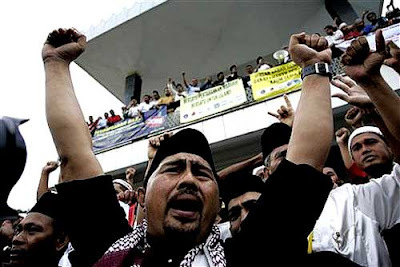 The Aceh insurrection, pitting essentially ethnic Malays against fellow ethnic Malays who are also Muslims, was more protracted, more vicious, and more difficult to resolve then the Irian Jaya conflict of the 1960s and 70s, or the anti-Chinese pogroms of the 1950s. The scars of those later conflicts, which began way after the Aceh rebellion, have all healed, but the wounds of Aceh are still raw, ready to flare up at any moment. I do not anticipate Malaysia having another May 1969 race riot. Malaysians have come a long away since those dark days. 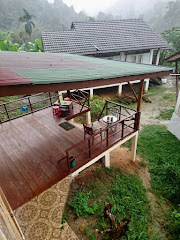 Non-Malays in particular realized that the constraints of the NEP notwithstanding, they could still thrive in Malaysia. There are enough examples of successes to discredit those who would assert otherwise. For Malays, gone too were the days when we would meekly and almost as a reflex follow our leaders or their dictates. When they tell us that the Christians have nefarious motive in using the word “Allah,” we scoffed at our leaders. Our leaders – hereditary, political, religious, and others – face unprecedented cynicism and scrutiny, and rightly so especially after they have failed us all these years. 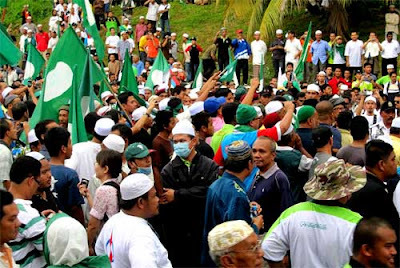 What Malaysia faces today is an entirely new and novel challenge: conflict among Malays. We have never experienced that. We are used to considering ‘outsiders’ as enemies, beginning with the colonialists and later the ‘pendatangs’ (newcomers). We therefore cannot fathom much less anticipate this new ‘internal’ danger; it has yet to enter our collective consciousness. This lapse is most noticeable among our leaders; hence their continuing to egg on their followers, oblivious of the dangers. 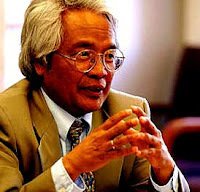 Malay leaders have also failed to prepare us for the modern age. Instead of acknowledging and learning from their mistakes, these leaders resort to the oldest tricks, of creating phantom external enemies. Today the new enemies are those who would infringe upon our faith, or so our leaders would like us to believe. There are still sufficient numbers of Malays who believe in rallying around their leaders especially during times of crisis, real or manufactured, the old circling-of-the-wagons instinct. These leaders, specifically in UMNO, are bankrupt of ideas on how to improve our lot. These manufactured enemies help divert our anger away from these leaders, so they hope. Their frequent and misplaced calls for Malay ‘unity’ are also part of this strategy. As a society we have not learned to disagree agreeably. Again this is the deficiency of our leaders for they too have not demonstrated the ability to disagree among themselves civilly. The Mahathir-Anwar disagreement for example, nearly ripped our society apart, and we have yet to recover from that. Our leaders lack the intellectual capacity or leadership qualities needed to solve the myriad problems facing our people, from the lack of jobs to rampant crimes, from our failing schools to corrupt institutions. About the only activity they are capable of is to engage in such puerile activities as worrying how the Christians address God. There is not much that we can do about these leaders; they will continue their ineffective and destructive strategies until they are relieved of their leadership positions. In a democracy, that power resides only with the people. Thus the more we can let our people see through the hollowness of these leaders, and the hoax they are attempting to perpetrate upon us, the faster will these leaders reach their day of reckoning. In these days of Internet, twitters, blogs and cell phones, the avenues for reaching and educating our people on the emptiness of our leaders are limitless. 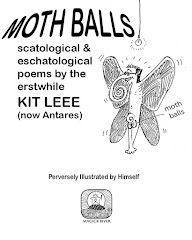 Thus it behooves us to enlighten our people, and we do this one person at a time. We need not convert everyone, only a sufficient critical mass. Once we reach that, the momentum will carry us through. Only by getting rid of these incompetent and useless leaders could we ever hope of finding more enlightened ones who could diligently work through our many problems. This is the only route. The alternative would lead us to a civil war and a path of continued destruction. So there is someone who sees the breaking of this nation as a growing possibility. I can envision a scene where the Federation of Malaysia secedes into individual political block states. The mass exodus of people from north to south, the abandoning of Sabah and Sarawak to its own destiny, the barb wire fence that separates what is UMNO/BN and what is NOT. I pray this vision never comes to pass each night. Because Malaysia would be HELL ON EARTH. The bloodshed that would ensue would be a nightmare in a country born of a beautiful dream. Keep praying for sanity to prevail. And for whatever deity that protects this land to make this wish so. Whatever name someone chooses for the Divine Lord, this this prayer come true. Gerald its already happened. Drop your outdated, overly romantic nationalism. We are human beings living together, not citizens of any arbitrary lines or divisions drawn on bits of paper, following archaic and outdated customs and forms of selfidentification. Ha ha you often make the post more interesting whenever this picture of Hishammudin is added to it or the one where he waved his keris. Mas Y Mas launches new Cuban album!